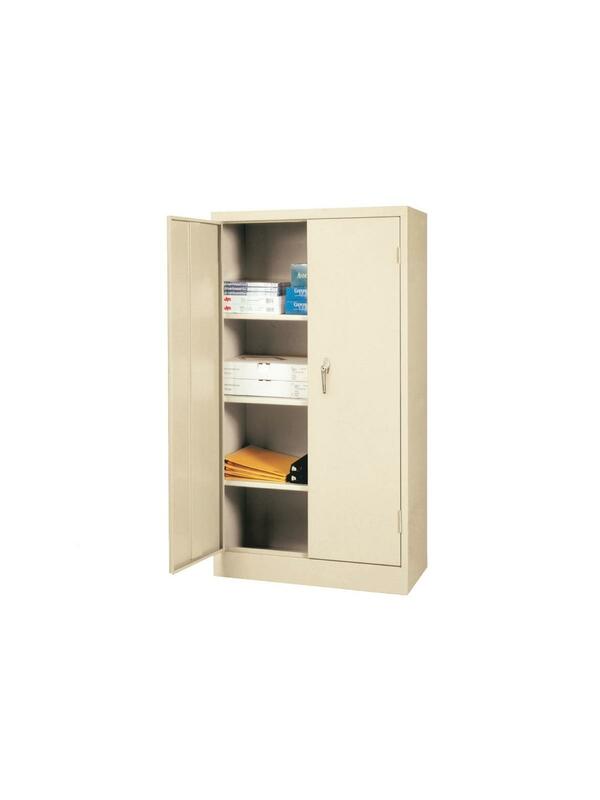 Standard cabinet storage at exceptional value. 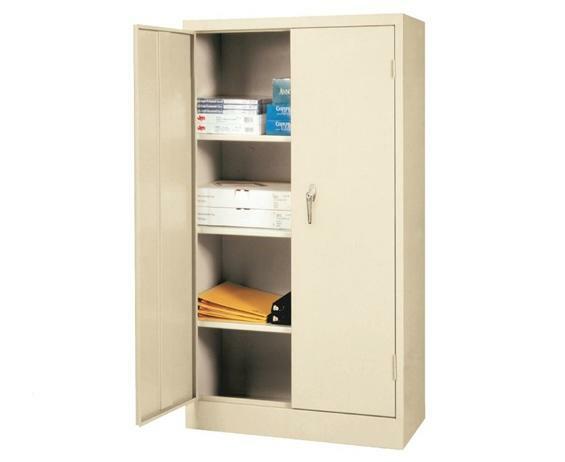 Features cam locking handles and welded steel construction for durable storage capacity. Cabinets include fixed shelves with flat bottom shelf space. Available in 3 colors: Dove Gray, Putty, and Black. Non-standard colors available for an up charge. FOB Shipping Point. 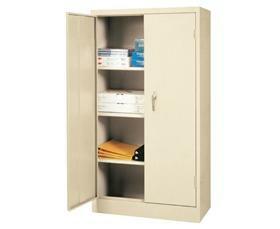 See Related Items tab for Commercial Series Cabinets and Janitorial Supply Cabinet - Value Line Series.